Patented Scientific Technology. Choose CogniFit, the only brain training, and brain games app that allows you to evaluate and improve your memory and cognitive skills in a professional and fun way. 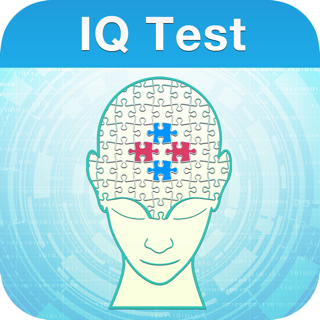 Test your brain and get to know your cognitive abilities. CogniFit is the world's leading application for brain games to evaluate and improve cognitive skills. Stimulates and rehabilitates your cognitive function with brain challenges, memory games, puzzles, intelligence games, educational, and learning games. Compare your cognitive functions with the rest of the world's population. To professionally assess your cognitive functions, you must choose scientific applications such as CogniFit. - Brain game programs to train the brain. Brain challenges, brain teasers, and exercises that will test your logic and ingenuity. - Brain games to improve memory. - Brain games to improve executive functions and reasoning. - Mental challenges to train and improve attention and concentration. - Mental agility games to improve coordination and planning. Specific programs of cognitive stimulation and rehabilitation for people who suffer some type of cognitive impairment (Dementia, Parkinson's, Memory Loss, Alzheimer's, Multiple Sclerosis, Brain Injuries, Cancer patients, Chemo-Fog, Depression, Dyslexia, ADHD, Dyscalculia, etc.). - Learning games and educational games for kids. - Memory games for kids. - Specific exercises and brain games for kids with learning disabilities (ADHD Test, dyslexia test, dyscalculia test). - Powerful online tests, psychology tests and psychometric tests to evaluate the main cognitive skills and their relationship with different cognitive disorders and mental illnesses. - Leading and effective technology used by the scientific community, universities, hospitals, families and medical centers around the world. These prices are valid for customers in the United States. Prices in other countries may vary and the charge to your account may be converted into the currency of your country of residence. CogniFit membership will automatically renew at the end of each period, and your account will be charged, unless auto-renew is turned off at least 24-hours before the end of the current period. You can turn off auto-renewal at any time and manage your subscription from your Account Settings, however, there will be no refund for the unused time. Your credit card will be charged through your App Store account. Thank you for using CogniFit. 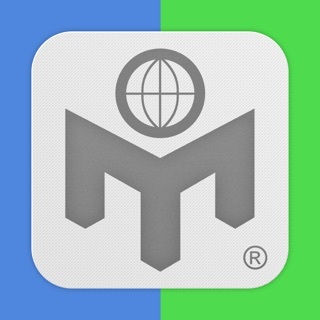 To further improve our brain training application, we regularly post updates to the App Store. All application updates include enhancements to functionality, speed, and reliability. If you enjoy using CogniFit, please rate us and review us. It really helps other users find our App. If you have any comments or questions, please email support@cognifit.com. We love to hear your feedback! This app definitely wasn’t developed by anyone in the medical field! I tried it because I do have MS & it never hurts to challenge oneself. However, this was an exercise in pure idiocy! I was told by Apple that the app was developed by designers, developers & the like. That’s obvious! If they asked anyone with seasoned medical experience how to address cognitive fitness in those with nuerological illnesses & conditions; this app would be much more comprehensive and assessment related. There would be feedback, intelligent challenges rather than word games & matching which angle a basketball is sitting at!! Don’t waste your time. There are much better brain fitness exercises out there! Thank you for your feedback, I'll forward it to the design & engineering team. Kindly note that CogniFit brain fitness solutions have been scientifically validated with peer-reviewed publications by worldwide independent institutions. This is definitely one of the best apps I’ve tried for brain fitness. I had a question about a game and chatted with their customer support on the app. They were super helpful, which is pretty rare these days. Definitely recommend for anyone who is serious about keeping their brain in shape. The new update is horrible and doesn’t work! I have a large Cognifit account and manage many patients. All of my patients who have updated their Cognifit app are no longer able to use their accounts including myself. I have sent the Cognifit help center 3 messages over the last 3 days and no one has responded. There is also no number to contact them. Horrible customer service for a product that I get charged for on autopay.